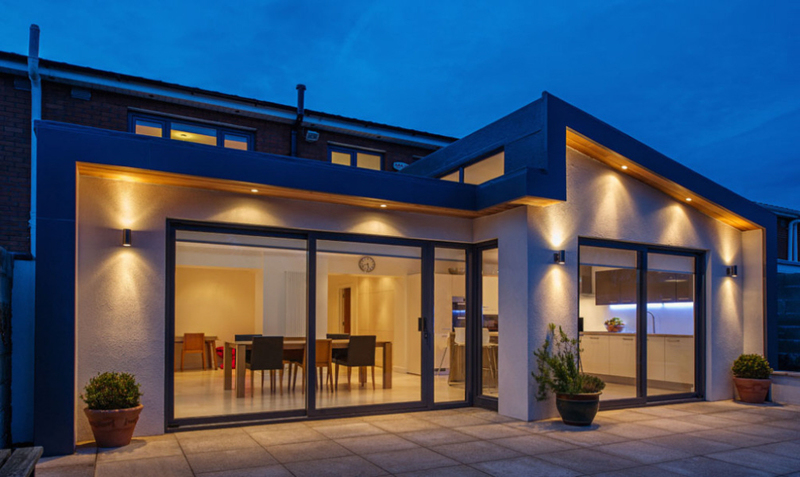 Extending your home with a single storey extension as opposed to moving to a new house can prove to be more economic and satisfactory solution that suits your family’s present and future needs. A new extension is a sensible investment that can add to the value of your home and provide the additional internal space required enabling you to make the most effective use of your accommodation. We offer a variety of extensions from the traditional single storey lean-to or apex – pitched extension to the more contemporary architect designed extension. Or maybe a side return extension combined with a rear extension to form a wrap – around extension. So where do I start? The general process for getting an extension built is to sketch out some plans and ideas yourself. We then can come up with ideas that may never occur to you and advice on achieving your aims within your budget. The many extensions we have built evolved as a practical reaction to real life needs and desires. We will steer the project from concept to completion within 8 weeks from excavation stage. So again how much will a single storey extension cost? Well, how long is a piece of string? This really is a difficult question to answer, as each build is unique, but we would suggest a minimum budget of €19,950.00. The examples of single storey extensions on this page had a budget of €20k and an optional extras budget of €5k. I think you will agree the workmanship and quality of the build shows exceptional value. But before any projects are undertaken we will furnish you with a full tender price, detailing full specifications of your new build….If you are satisfied with this tender price we will then issue you with a set of contracts detailing the terms and conditions and commencement date. If you are satisfied with the agreement the project is now ready to proceed!